International Community for Spatial Planning and Sustainable Development (SPSD) is a research association for sharing the latest results of research and successful case studies in spatial planning and sustainable development. IRSPSD International is an international jounral that attempts to provide insights into the achievement of a sustainable urban form, through spatial planning and implementation with the focus on planning experiences at the levels of cities in the world, particularly in Asian countries.The field ranges from urban policy, planning and design, planning support system to the field of transportation planning, landscape design and geography. 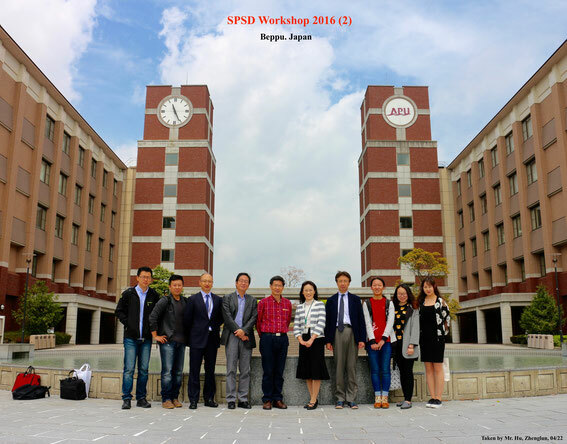 We are happy to host the editor-in-chief of IRSPSD International and the members of SPSD Board of Directors at APU for a seminar. 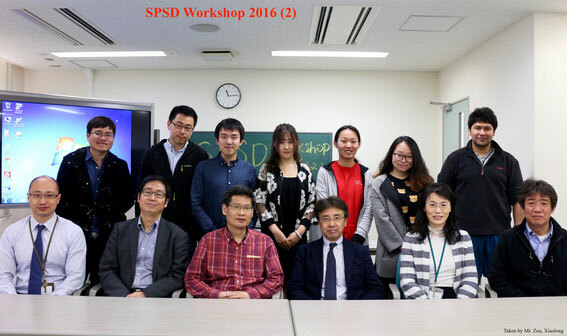 “Shaken but not broken”, the 2016 SPSD Workshop NO.2 was commenced as planned on April 22 at Ritsumeikan Asia Pacific University (APU) in Beppu City, Oita Prefecture, Japan. While still experiencing occasional aftershocks of earthquake, the workshop participants kindled inspiring presentations and discussions during this delicate period of disaster relieve and recovery. 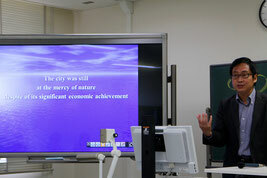 Chaired by Professor Yan Li of APU, three guest speakers of esteemed universities and research institute in Japan presented their on-going research projects in an array of topics of urban planning and disaster presentation, disaster relief related economics, and transportation oriented social welfare for the elders. Though still in the excavation period of APU, a number of faculty and students from undergrad to PhD levels attended this workshop with unwavering spirits. 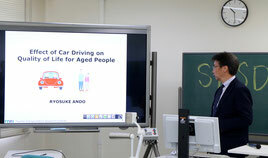 Dr. Ryosuke Ando, director of Research Department at Toyota Transportation Research Institute, showcased a study determining the car-driving experience and its effects on the quality of life of the elderly people by surveying the senior citizens residing in Toyota City of Japan. The findings incite that elders with more daily driving hours are more content with life and driving would help them maintain a high level of body functions such as concentrations, road vision and reaction. Prof. Weiguang Huang of Sophia University challenged the conventional application of Kuznets’s curve in the floor disasters in China with empirical data analysis and case study. It is surprising to find out that this curve, while applying on a national scale in China, cannot explain completely the case of Chongqing City. A key message for the audience is an attitude shift from “controlling disaster” to “managing disaster” with a positive spirit. 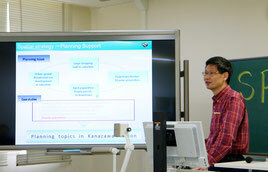 Prof. Zhenjiang Shen of Kanazawa University, also the Editor-in-Chief of International Review for Spatial Planning and Sustainable Development (IRSPSD) delivered an informative presentation regarding the spatial planning techniques for the potential earthquake related disasters in Kanazawa City. By geo-demographical data modeling, simulation and projection, the outcomes of this research provide significant references regarding earthquake prevention and reaction for the local policy-makers. Inspired by these presentations, vigorous and interesting discussions were seen through out the entire seminar. Questions such as panic factors during disasters, policy implementation based on spatial analysis, positive attitudes with country specificness, elderly welfare factors etc. stirred further quires, discussions and inspirations for the workshop attendees. This workshop was successfully concluded as scheduled. 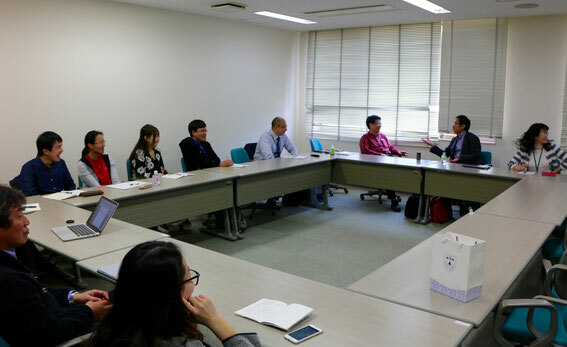 We are grateful for all the participants who attended this workshop at this very special post-disaster period in Beppu city. Earthquake might shake the foundations of buildings and bridges, but it should never shake of human spirits for knowledge and prosperity. It is in times of such, we witness the true values of scientific communities, where future suggestions, recommendations and solutions are made possible. Ritsumeikan Asia Pacific University (APU).